The rapidly expanding and popular airline Norwegian has reported positive third-quarter results for 2017. 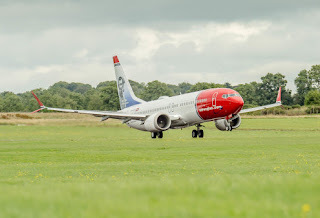 The lower-cost carrier saw a net result of 1 billion NOK (£94million), an improvement of 4 percent compared to the same quarter previous year. The load factor increased to 92 percent. 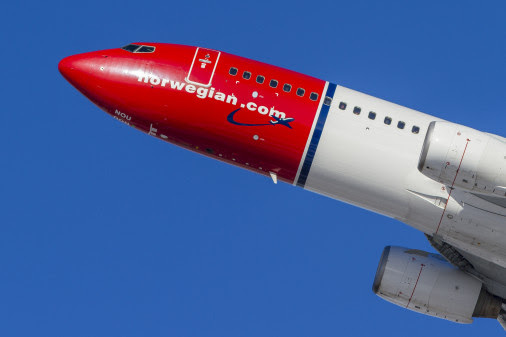 The passenger development has been positive in all of Norwegian’s key markets, with a significant growth in the U.S. and Spain. The third quarter was characterised by strong international passenger growth and a high load factor, as well as fleet growth- and renewal. The company carried 9.8 million passengers, an increase of 14 percent compared to the same quarter previous year. The US and Spain reported the highest increase in the number of passengers, 79 percent and 25 percent respectively. The load factor increased to 91.7 percent and the capacity growth (ASK) was 25 percent. In total, 10 new aircraft entered the fleet, whereof 4 Boeing 737 MAX, 1 Boeing 737-800 and 5 Boeing 787-9 Dreamliners. A new and modern fleet of aircraft combined with a high load factor reduce emissions per passenger kilometre. In the third quarter, the total emissions per passenger kilometre were reduced by 2 percent.